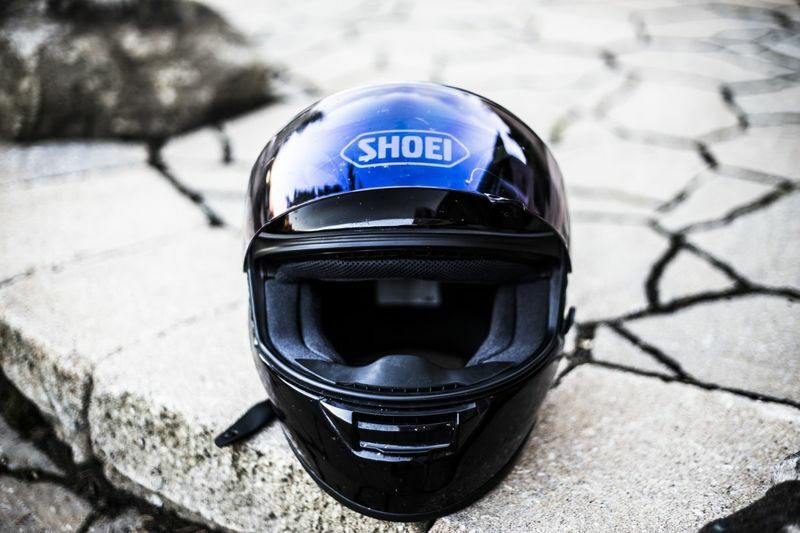 Feeling like the world is out to get you may sound paranoid, but when it comes to riding a motorcycle open to the elements and at the mercy of other road users, a little paranoia goes a long way. 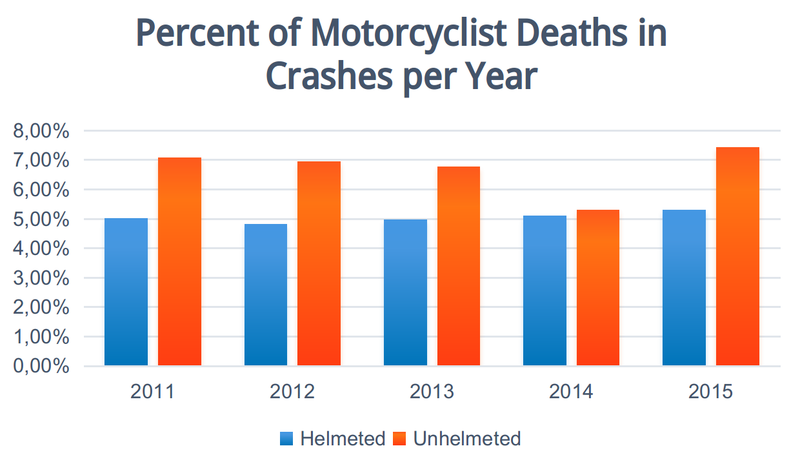 So read on and take a look at the top 10 most common motorcycle accidents and how to avoid them. Over 40% of all accidents involving a collision between a car and motorcycle, is the result of the left turn. This accident mostly happens at intersections, when a biker has the right of way and is continuing straight across, but the car invades the rider’s space by turning left. It can be due to a number of reasons. Using a hand-held cell phone may be banned in many states, but the National Security Council (NSC) reveal that mobile phone use is responsible for well over 1.5 million crashes a year. Don’t increase your speed at an intersection. If anything, roll off the throttle. Resting your first two fingers on the front brake and covering the rear brake is also good insurance. Remember, defensive riding can save lives. Keep an eye on traffic preparing to turn left. Are they edging forward, poorly positioned or do they seem distracted? These are all tell-tale signs of someone possibly about to make a bad move. How does rear-ending happen? 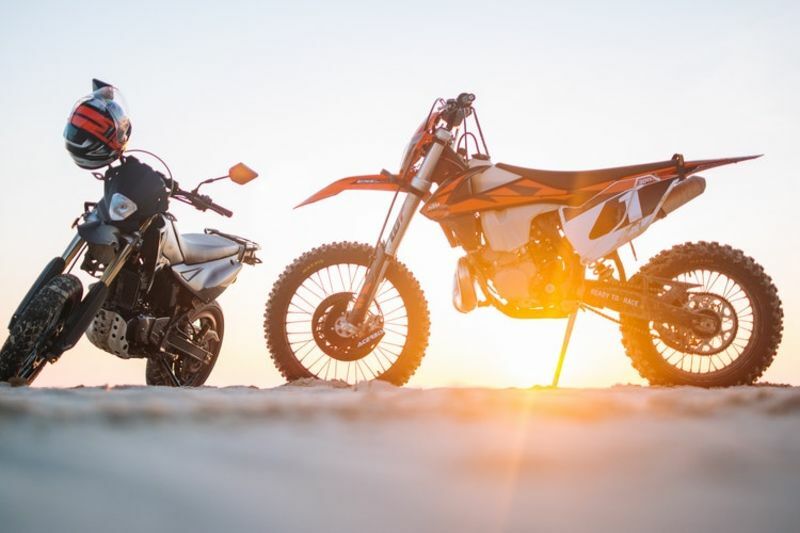 Once again, it’s mostly down to lack of attention, but don’t forget, the average profile of a motorcycle and rider when viewed from the rear is approximately one-fifth of that of a car. Being hit in the caboose at highway speeds may be rarer than a stationary shunt, but it does happen. This accident can potentially be the worse case scenario of the two, as not only are you traveling at speed, but other traffic is also a danger factor. When approaching a line of stationary traffic, leave a gap between you and the vehicle in front; giving yourself a crumple zone. When on the highway, constantly check your mirrors. Don’t be a lane hog; allow tailgaters to go by and resist the temptation to hit the brakes in an attempt to make them back off. Read the road - three or four vehicles ahead. If you’re leading a queue of traffic, make sure you pull away cleanly without stalling, this will avoid the car behind thinking it’s a drag race. Another multiple-choice subject due to the variations of grunge on the road, the most common being mud, water, leaves and diesel fuel. However, don’t be surprised to find 12 tons of liquid chocolate (Poland, 2018) or the contents of an exploded whale (Taiwan, 2004) blocking your path. The bottom line and the common denominator here is the barrier these substances create between your tire and terra firma. Hit them on a straight, and apart from a whale, you should be fine. Encounter them on a bend, and the inevitable result is a loss of traction. Mud on the road can be from agricultural vehicles or trucks leaving a construction site, and water can be from a broken main. Leaves are pretty much seasonal, but you can fall foul of a diesel spill at any time. Ride through the countryside and watch out for tractors. Plowing fields can result in mud on the road. Same goes for a construction site, even if trucks go through a wheel wash on the exit, it’s still a potential hazard. The same goes for leaves, if you’re tearing through leafy states such as Maine in the fall, watch the bends in very shadowy stretches where it can stay damp. A self-inflicted wound, but one of which we are all guilty. It's a beautiful day and you either get too confident or the bend tightens up and takes you by surprise. Either way, it’s your fault. You’re going too fast, either for your skill level, the road or even for your bike. It’s easy to blame the latter, but sometimes you really should be looking at the person in the mirror. A significant factor for losing it in a bend though is panic. You are aware you've hit the bend too fast, and bad instinct makes you grab for the brakes. Locking the back wheel when banked over is bad enough, but depending on your riding skills, you've got a very slight chance of keeping it going. 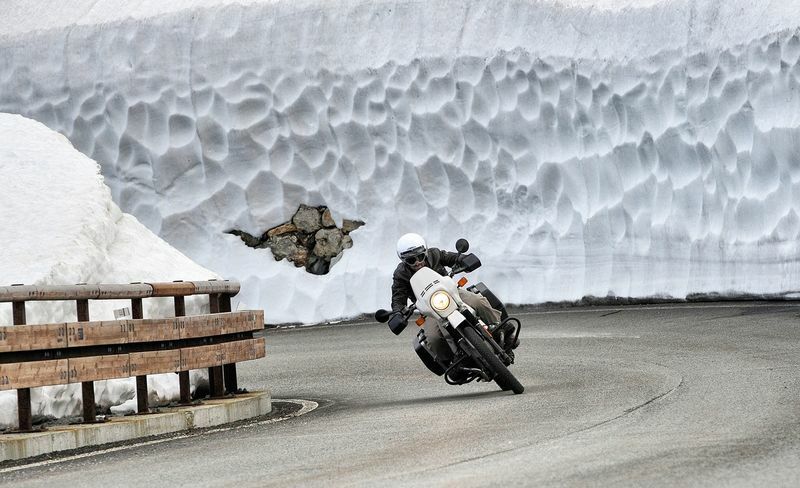 Do the same with the front brake, and you’re kissing the tarmac. It may sound corny, but kill your speed. Especially on an unknown road or around a bend where you can’t see the exit. Always take each bend like a pro, and by that, I mean strategically, not at 100mph. Line yourself up correctly, do all your braking before you enter the bend, and only go as fast as your ability can deliver. Don't grab at the brakes and keep your eyes focused on where you want to go; the chances are, you’re bike will do the rest. 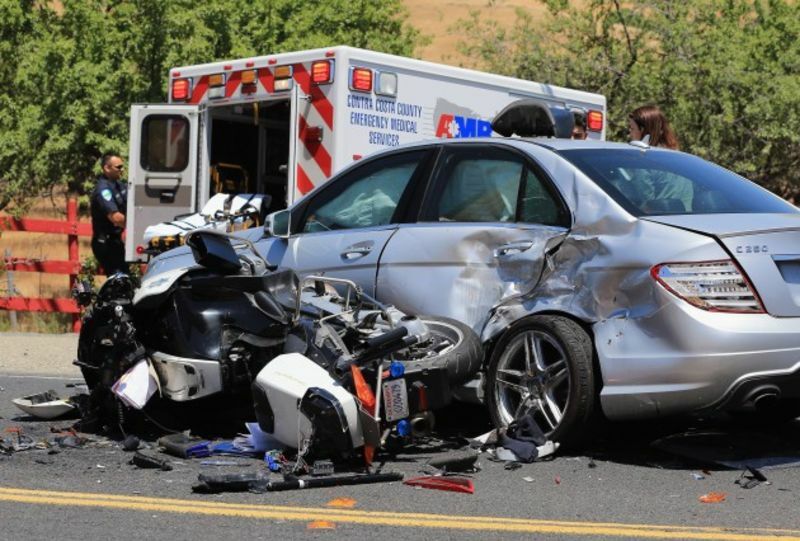 No motorcycle accident is a cause for celebration, but this kind of collision has the potential for causing an injury. If you’re lucky, the idiot responsible for opening their vehicle door without checking has thrown it all the way open. In this scenario, you may have sufficient forward momentum to bend it back against the hinges, which will do a lot towards absorbing the blow. The worse case scenario for this type of accident though is if the vehicle door is only partially opened, in which case it’s going to act like a door-shaped lance in a joust. In the majority of cases, it’s a simple matter of passengers/drivers, not checking behind before exiting. It has to be said though; there are circumstances when car doors get blown wide open by an unexpected gust of wind. In fact, it's the No.1 cause of car hire damage in Iceland! Ride with a door width gap between you and the row of vehicles. If you’re in a confined city environment, ride slowly enough to be able to take avoiding action and keep two fingers on the brake and a thumb on the horn. This type of accident doesn’t usually occur when you’re lane splitting, but if the traffic has come to a stop as you weave your way through, be vigilant. Irate traffic jammers often get out to stretch their legs. Long lines of two abreast bikes snaking down the highway make for good news footage, but riding in a convoy is a tricky business. Remember, if one goes down, it can turn very quickly into a game of dominos. Thankfully, accidents resulting from this type of scenario are rarely life-threatening due to the speed involved. Unfortunately, though, it’s not your speed that’s the problem but rather the speed of the motorcycle behind that hits you. Riding in a convoy takes concentration. Not only are you performing innumerable control tasks, but you're keeping the correct distance from the rider in front, side, and back.d! The golden rule of riding in a convoy is to know who you are riding with beforehand. In this way, you’re in with a chance of at least anticipating what they’ll do out on the road. Let’s begin with wet roads. Motorcycle tire tread patterns have evolved incredibly over the years, but there’s a limit to their ability. Yes, they've been specially designed to force water out to the sides, but be aware of the size of their contact area. In wet conditions, modern motorcycle tires can cope perfectly well and will convey you safely through even the most intense downpour. You do need though, to give them the opportunity to do their job and by riding too fast, you run the risk of aquaplaning and losing control. Regarding snow, apart from the apparent dangers of ice, it differs in as much as it can get packed into the tire tread, turning it into a slick. You're aquaplaning, when the steering goes horribly light, and the entire back end feels like rubber. So back-off the gas, don’t hit the brakes, and slow things down until handling returns to the steering. Caught in snow? Avoid following in other vehicle’s tracks; compacted snow is slippery. Do only one thing at a time - brake, accelerate or turn, and get the hell out asap! According to the NHTSA (National Highway Traffic Safety Administration), drunk driving and riding claims over 10,000 lives a year. But that's not all, in 2016 the National Institute on Drug Abuse says that 11.8 million drove, and rode under the influence of illicit drugs. 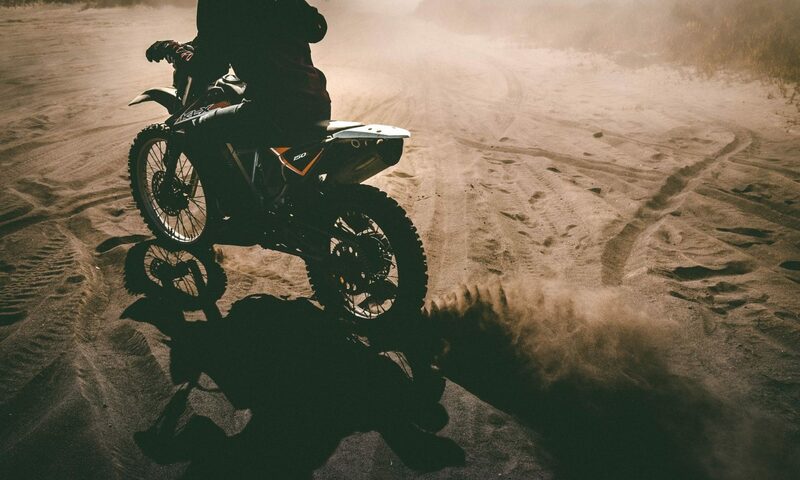 Forget about life on the silver screen, even if TV bikers do take a tumble after a spliff or one swig too many, there’s a stunt rider taking the fall. In reality, the effects of one too many will sneak up on you all too quickly and affect reaction times. 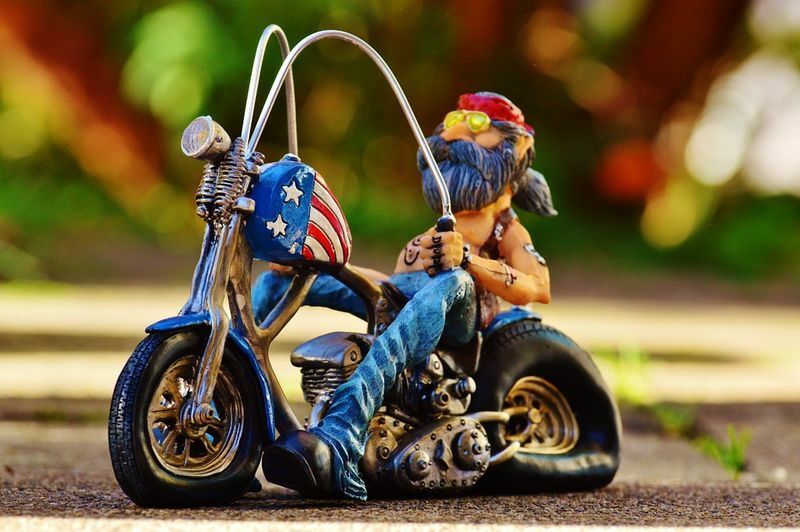 Don't do it; legal alcohol levels may seem draconian because alcohol affects people in different ways, but whether you're 100lbs of newbie biker or 300lbs of old outlaw, the man says you are over the limit at .08. More common back in the day when bikes were cheap enough to ride into the ground and dump. However, today, with cruisers and sports bikes coming in at around $20K, the majority of riders take care of their ride. In the event of an accident occuring as a direct result of poor maintenance, it’s more often than not going to be tire related. Back tires with too many burnouts or miles, wrongly inflated or old, are all contenders. Fortunately, modern tire technology means the chances of a total blowout bad enough to cause a crash are slim. You’ll often get enough feedback in time to reduce your speed. Front blowouts are even rarer, but they do happen and are harder to control for obvious reasons. Neglecting to look after your drive chain is an accident waiting to happen. Poorly adjusted chains can get so sloppy that they jump the sprocket resulting in a locked back wheel. It’s as simple as routine maintenance. Check that your tires are in generally good condition and correctly inflated. Keep your chain lubed and correctly tensioned. Speed is not always a bad thing; a big handful of gas, in some circumstances, can get you out of trouble. However, this is one that should be put into practice, prudently. Going too fast in general means not only are you potentially risking a blue flashing light in the mirror, but your chances for avoiding an accident are dramatically reduced. Almost every bike on the road above the size of a commuter scooter is capable of breaking interstate speed limits. Also, if you’ve ever ridden the likes of a Suzuki Hayabusa at 100 mph, the lack of urgency is unbelievable. Is it easy to ride too fast? Yes. Is it sensible to do this on public roads? Absolutely not. There’s a reason why car drivers the world over use the same excuse of ‘I didn’t see him,’ and the sad truth is, the faster you go, the more accurate that statement becomes. Rocket science it isn’t, and that big old dial just above your handlebars will eliminate the guesswork. Observe the speed limits. They aren’t there to spoil your fun but to ensure that dozy, coffee drinking, mobile phone using cagers have time to see you. Keep your bike well maintained, your eyes open, and your spider sense on DEFCON 1. Common sense and defensive riding techniques will keep you out of trouble. Learning how to handle your bike will pay dividends when you suddenly lose control. Remember, you’ve got the world’s biggest computer underneath your lid, and it’s capable of mind-boggling stuff. The average brain can assess an image, calculate the various outcomes, and implement an action, all within 16 milliseconds. That being said, the number one rule that you should ride by is, "All the gear, all the time" and never overlook the importance of wearing a helmet. 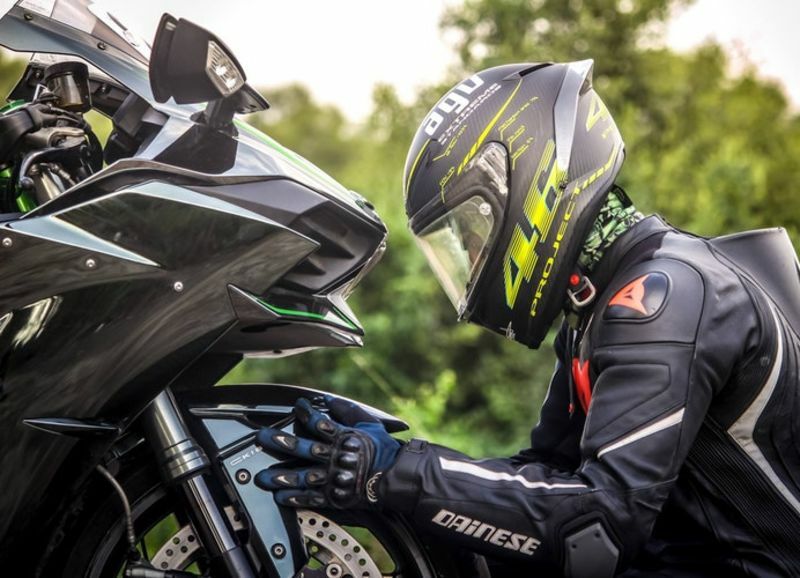 The whole purpose of writing articles such as the top 10 causes of the most common motorcycle accidents and how to avoid them, is to pass on knowledge learned the hard way. If you're looking for some extra Info, the guys over at Daniel Rosen have a neat guide worth a read. We always endeavor to cover all bases, but if you can think of anything more to add, be our guest. Comments, observations, and additional tips are always welcome. Are Motorcycle Jeans Safe for Everyday Riding? The subject of motorcycle jeans, and specifically the safety thereof, can be a controversial one. Are you really safe wearing them while cruising? Previous PostPrevious The Best Motorcycle Pants for Women – How to Stay Safe While Looking Good!